Julia pattern 90 inch round white tablecloth. 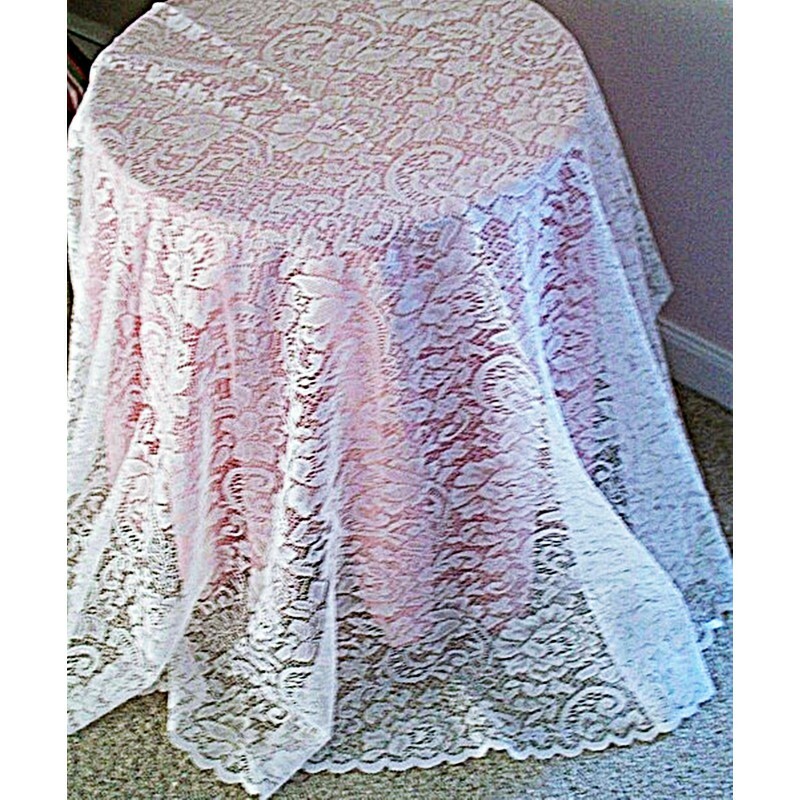 This tablecloth is a must for your Victorian home décor or this would be exquisite to use for wedding table décor. 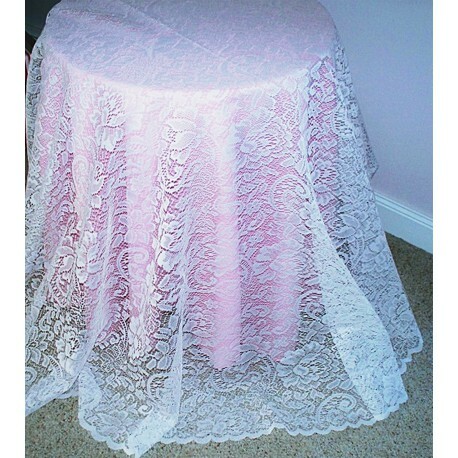 Crafted with pride by Oxford House, it is done in large roses, vine and scrolling throughout the tablecloth. 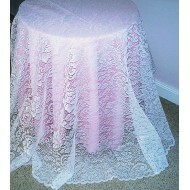 After using for a wedding, you still have a gorgeous tablecloth to use in your home and this washes beautifully. Size: Measures 90 inches round, which will fit a round table of approximately 36 inches up to 72 inches round, just depends on how much overhang you prefer. This pattern will pop if you put the tablecloth over a solid colored material of your choice. Color: White. *Pink tablecloth underneath is not included. Material: Made of 100% easy care polyester.